Tasty, plant-based meals ready for you to grab at your local grocery store! Sign up below for exclusive access to the Moon Meals 5-Day Meal Plan including original plant-based recipes from Chef LaForce Baker, complete shopping list, and a meal-by-meal guide. Finally...the tasty and healthy meal you deserve. Tasty, plant based meals ready for you to grab at your local grocery store! How does Moon Meals™ help you go healthy? By providing high quality at a reasonable price, we're helping to debunk that myth that plant-based, healthy food is bad for your budget. You don't have to choose between tasty and healthy anymore. Our products are packed with flavor so you can feel good with food that tastes great! So simple, yet so powerful. Getting most of your nutrients from plants is the fastest way to feel better now and stay healthier down the road. We know you’re on the go...that’s why you can find our products in your grocery store's deli “grab & go” section! 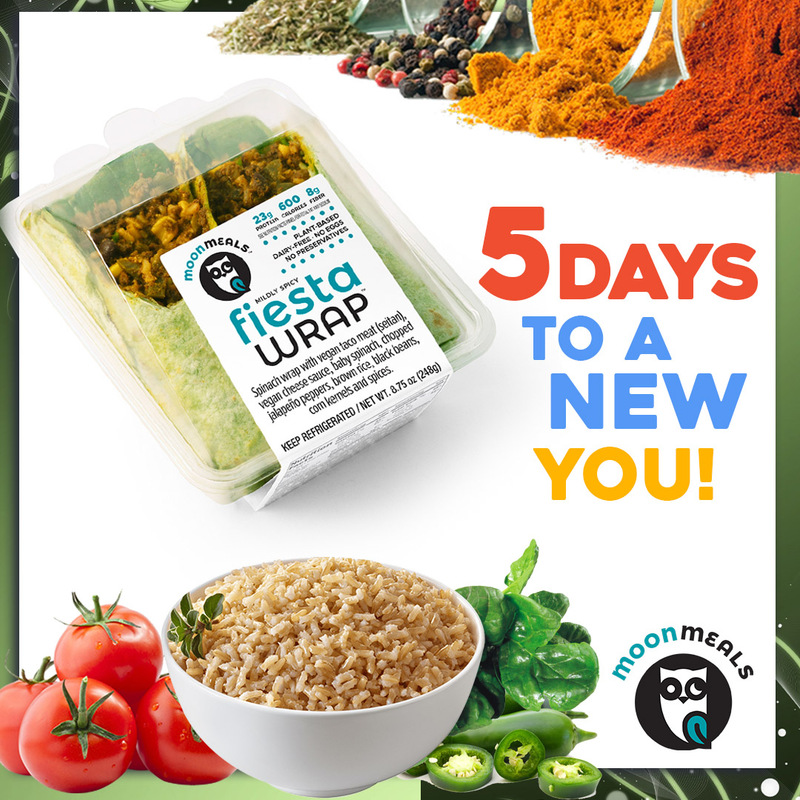 Moon Meals™ Fiesta Wrap™ is now available at Jewel-Osco grocery store locations! See the map below to find the location nearest you! You can grab Moon Meals™ Fiesta Wrap™ in the "grab & go" section of these Jewel-Osco stores' delis. 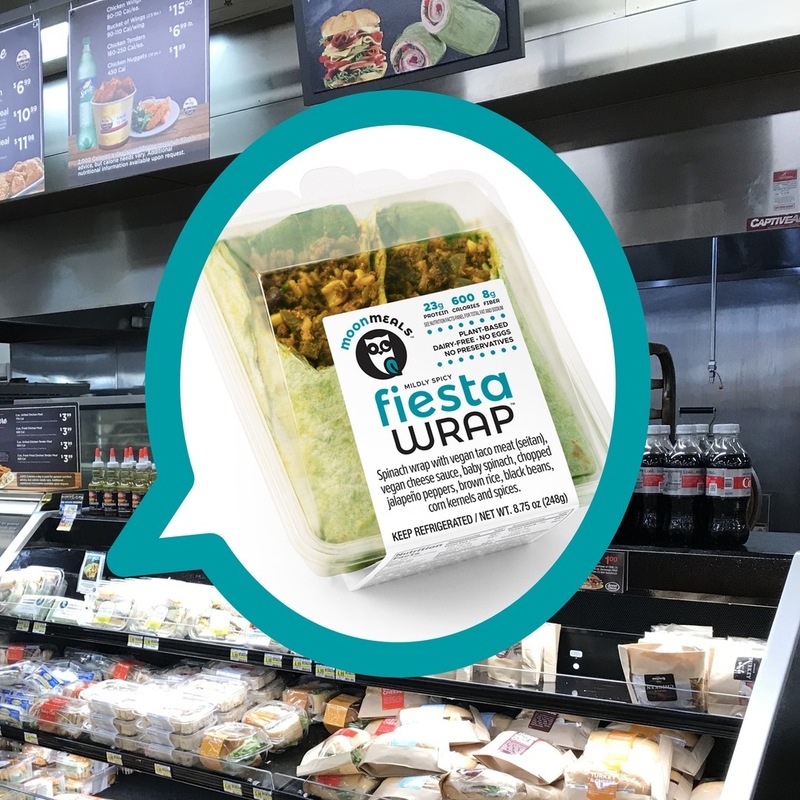 If you can’t find us, request the Fiesta Wrap™ from the deli manager at your local Jewel-Osco! Store layouts can differ, but if you’ve found the pre-made fresh sandwiches and salads section, you’re in the right place! 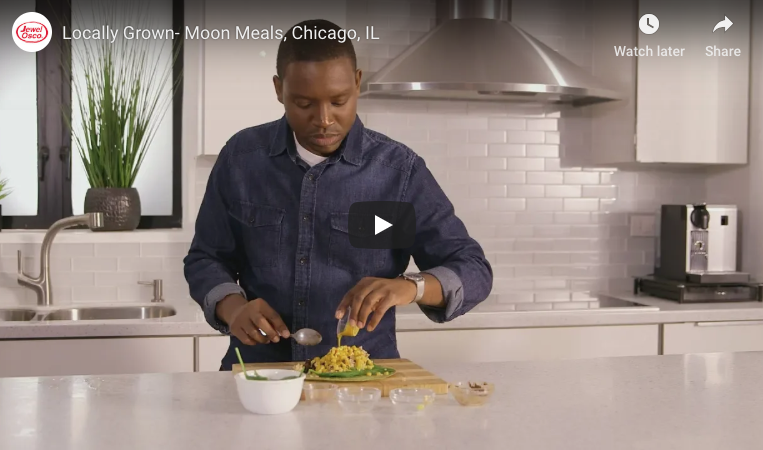 See founder LaForce Baker tell the Moon Meals™ Story in Jewel-Osco's Locally Grown! Moon Meals™ provides plant-based meals containing our propriety vegan meats, cheeses and sauces to major retailers and foodservice operators. The company uses only the finest ingredients and tries to use local and organic ingredients. Moon Meals™ products have been featured in the "grab & go" delis in Chicago-area major retailers like Jewel-Osco (Alberstons). As a result of the founder’s success in using food to reclaim his health after growing up in poverty in Chicago, the company’s mission is to make delicious, healthy plant-based meals more accessible to everyone. LaForce Baker is the Founder & Executive Chef at Moon Meals. Inc. He manages day-to-day operations, new product development, sales, marketing and strategic partnerships. Prior to founding the company in 2012, he helped bring to market new concepts in national grocery chains for large food companies like Kraft, Conagra and Nestle. He does this because he is truly passionate about making healthier meals more accessible to people, since he overcame obesity and poverty on the South Side of Chicago by taking control of his own diet. Lastly, LaForce is an independent brand strategist and professional speaker. He has spoken on entrepreneurship, marketing strategy, and effective networking at The University of Michigan’s Ross School of Business, University of Chicago and Denison University. He loves to cook, run marathons, network and volunteer mentoring urban youth from disadvantaged communities. He holds a bachelors degree in Communication from Denison University.